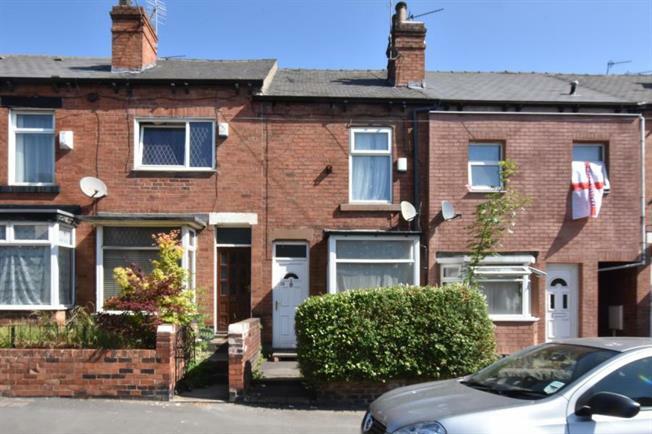 3 Bedroom Terraced House For Sale in Sheffield for Guide Price £75,000. Offered for sale is this traditional three bedroom mid terrace property in Wincobank which would be ideal for both first time buyer and investors alike. The accommodation is set across three levels and benefits from gas central heating and double glazing. To the ground floor you will find a front facing lounge, a rear facing dining room/2nd reception room with an off shot kitchen to the rear. The first floor accommodation consists of a master double bedroom, single bedroom and a family bathroom. On the attic level you will find a generous bedroom with eaves storage. Outside you find a small front yard and to the rear is a generous rear garden which is laid mainly to lawn and boarded with fences. Wincobank is a popular and convenient area with a number of local amenities such as Meadowhall shopping centre, the new ikea Sheffield store, local shops, doctors, schools and supermarkets. The area is also popular for those who commute with great links for the Motorway network, Tram, train, bus and coach stations, as well as a number of local bus routes.